It’s a common phenomenon in most walks of life then when something is difficult, people will put more effort into finding a way to cut corners. 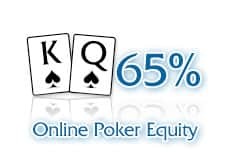 Online poker is certainly no exception. Since the game first exploded in the early 2000s, players have been trying to find a shortcut. For every hardworking grinder happy to hone their bluffs, there have been at least two more who'd rather let someone else do the graft. So when the opportunity arose for some bright sparks to create a form of artificial intelligence that could profitably "solve" poker, there was no shortage of take-ups. Enter the age of poker bots. So what exactly are poker bots, and how do they work? Essentially, bots are computer programs that have been designed to play the game against human opponents or other pieces of software. 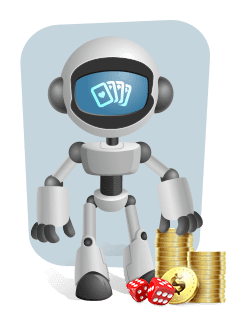 Once activated, a poker bot will play a game that is underpinned by certain mathematical concepts with a view to making profitable long-term decisions. 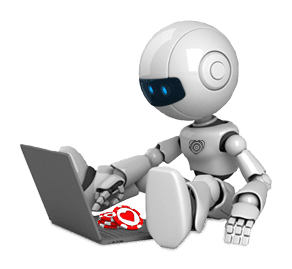 The primary factor for defining a bot is whether or not the computer program can interface with a poker client without the assistance of a human operator (i.e. play by itself). If so, it is treated as a bot regardless of how well it plays poker or how much money it is capable of making per 100 poker hands. 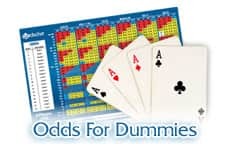 As poker is a game of incomplete information, it is impossible even for a computer to deduce the final outcome of any given hand. Instead, poker bots must rely on systems based on various theorems. These all have their limitations, however. Those who do so to make an easy profit. Let's take the easy profit guys first. No matter how much their developers might claim to the contrary, no poker bot on the market is capable of beating the game for thousands of dollars. 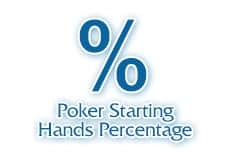 Typically, they might turn over about 5bb/100 hands. As such, people who use bots purely for their profit-generating ability normally do so to clear bonuses or grind out rakeback deals. After all, why spend hours playing the game when you can simply leave a bot to unlock your deposit match before pocketing the profits and moving to new pastures? Those who do so purely for the challenge of beating what is a notoriously complex game. But what about the players who want to beat the game? There is a certain amount of prestige associated with "solving" a game with as many variables as poker. Some of the brightest minds on the planet regularly enter their bots in competitions or pit them against professional opposition. So, can a bot beat regular players, and is it worth the hassle? As with most things in poker, the answer is "it depends". While bots are capable of turning a profit in the long term, they are just as susceptible to the laws of variance as us regular Joes and they are also incapable of making sophisticated adjustments to their game when a player begins to exploit them. While systems like neural networking do allow some bots to "learn" new strategies based on how other players are reacting to them, the truth is even the most advanced bot essentially plays in a pre-defined manner. Once identified, it can easily be outmanoeuvred by a good opponent. It goes without saying that most poker sites cater primarily for recreational players. And if there's one thing recreational poker players hate, it's the thought of being cheated by a computer. As a result, using CAPTCHAs at random intervals during play is a more commonly-used alternative. A CAPTCHA (Completely Automated Public Turing Test to Tell Computers and Humans Apart) is a program that can determine whether a user is human or not. Many websites, not just gambling ones, are protected by CAPTCHAs. In terms of what the future holds for bots in online poker, players don’t need to panic about the machines taking over just yet. Poker is simply too complicated a game to be solved by a computer program with technology as it is, and though some bot designers are fairly close to cracking the game in Limit format, the greater number of variables in No Limit Hold’em means a similar outcome there is still a long way off. Nevertheless, research in the field of artificial intelligence has come a long way in recent years and the programmers who have worked so diligently to crack the poker code should be commended for how far they’ve come, even if it does mean the pros will have to up their game in the future.